A very sleek look that offers clean lines throughout. 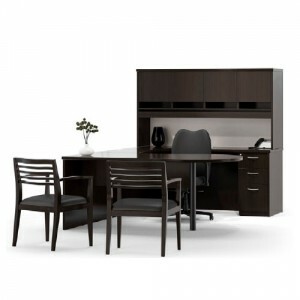 This beautiful u-shape desk set is shown with a BBF ped, credenza, and hutch with a wood door kit. 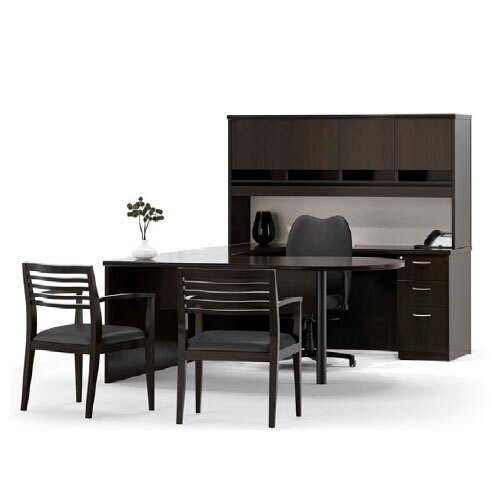 Shown in a Mocha laminate.